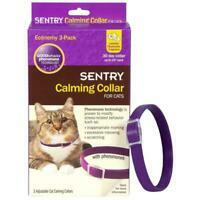 This product helps kitties be a bit calmer by putting good-smelling happy pheromones in the air. People can't smell them but the cats seem to; not all cat-on-cat aggression is eliminated, but it would be worse without the happy smells from Feliway. Also very good for calming a cat who has just moved to a new home--makes them feel at ease and makes the transition easier. Product works well, helps my cats get along, but can be pricey. Have to shop around. Refill does not always last as long as advertised. Sometimes only 2-3 weeks. I think there's a design flaw in the diffuser. Am not sure if this product is totally working. But there has been some improvement in the well being of my cat. A must have for mulri cats that aren't getting along. Within 24 hours they were lying down inches from each other and not a peep from either one. Finally after 12 years there is peace in the valley. Does only last a month so expect to purchase monthly. Believe me you'll know when your out! Worth every penny to me. Outstanding product!